Next week is Valentine’s Day. We love Love over here, and not just the romantic kind. We believe in Love to erase the borders between us, diminish distances, overcome differences and find the humanity in each person on this beautiful earth. It is certainly not what the news is telling us. But I don’t take my directions from the news. I take directions from the Way of Love and the One who is Love. The news tells us to hunker down, stock up, be afraid and look only after our immediate families. Love calls us to look up, see the other, extend a hand and enlarge our world. Love reminds us that we are all family. I have lived in that small, fearful way, in which we looked out only for ourselves and our people. I carry the consequences of that. Out of that, however, God has created in me a heart that is fiercely committed to seeing my neighbour, whether she lives in my city or across the world. She is my neighbour, whether she is from Berlin, Baghdad or Burundi. I have learned that we are all connected to each other. I am also a woman of privilege. I have a voice, I have access to resources, I have an education and I don’t need to be ashamed of it. Instead, I get to use the power I do have for good. And today, I am asking that you would join me. Today I am asking that you would join us here on SheLoves, to stand with the women of Burundi and the children of Bubanza. This is what Love can do. 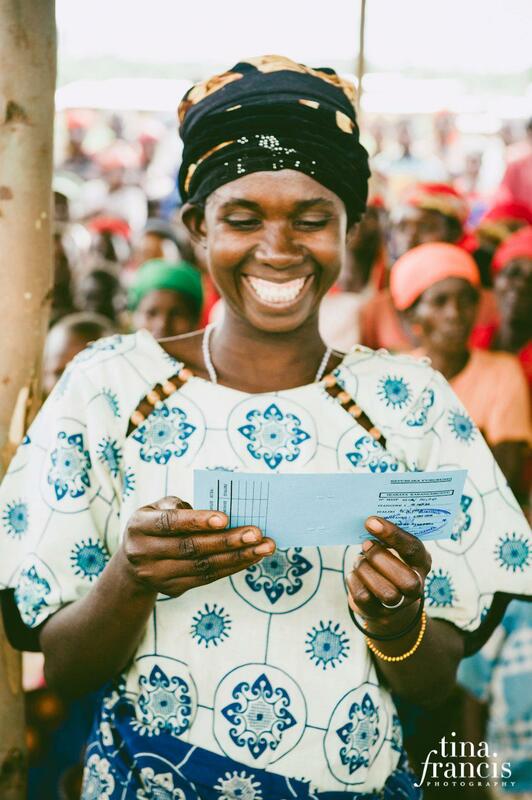 A year later, we learned that the community needed wells and again we put up our hand to help build a well in Bubanza. We said YES. With shaking knees and trembling hearts, we said yes. We said, These are our sisters and brothers. We belong to each other. 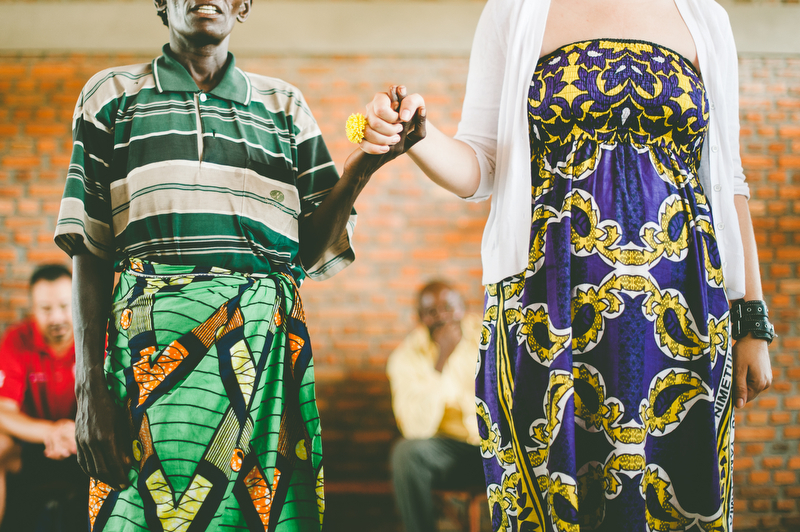 It has been incredible to see the transformation in Bubanza over these past several years. Women who once were ignored, now have bank accounts, can own land and vote. They always had a voice, but now they are also seen and heard. Land that was once inhospitable to agriculture, is growing bananas. Kids are going to school. I still remember the day Kelley told me about Claude picking up a few desks from a vendor on the side of the road to take along to Bubanza. They placed it in the classroom where, at the time, only about 15 students went to school regularly. When news got around about desks in the classroom, parents started sending their kids to school. The need for a proper school grew fast! Claude and his team went to work and Kwizera Academy was built. Now there are about 600 students enrolled at the school. I have had the privilege of walking on the sacred ground at Bubanza twice in my life already. I got to visit with friends in 2012 and helped to hand out some of the remaining ID cards. The next year, we got to go back—this time with some SheLoves sisters. 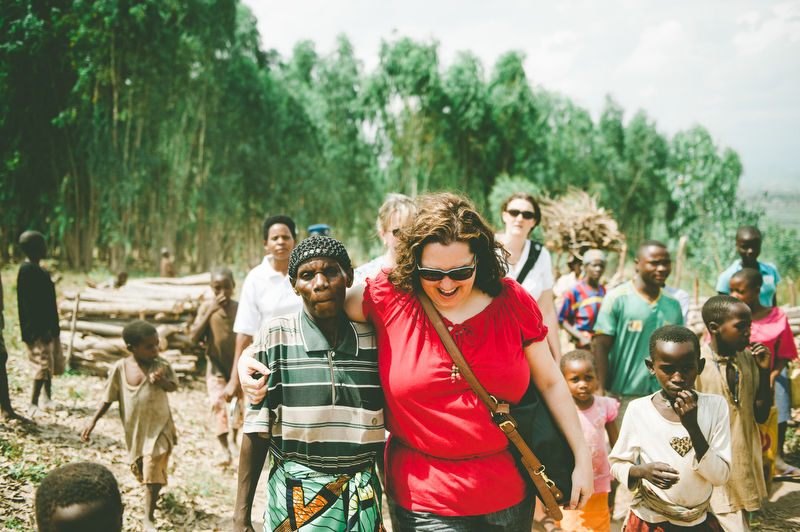 Kelley Nikondeha walking with one of our sisters from Bubanza. Together we opened the tap that was now in the centre of the community, thanks to the well that SheLoves had helped build. There are so many people who have come alongside this community and have given generously, especially Community of Faith in Texas. We have simply said yes to the small parts we could do. Last year, Kelley texted me a new idea. 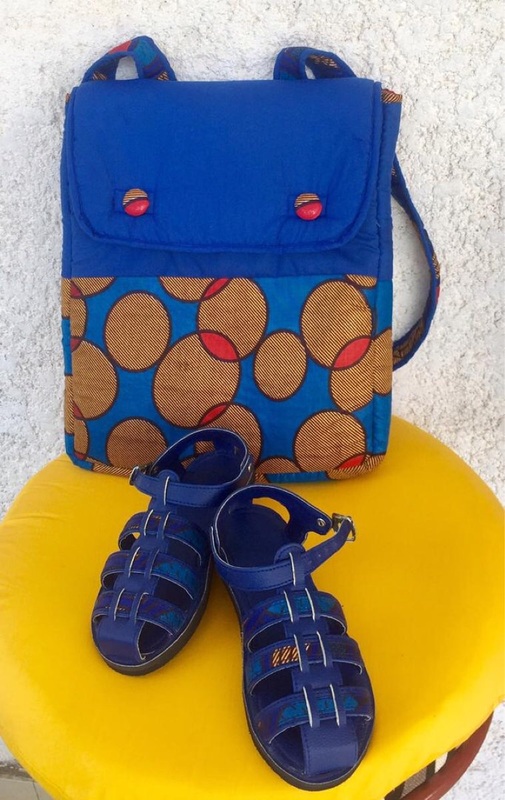 Claude had been dreaming with a local designer and entrepreneur named Ange to create backpacks and shoes for the students of Bubanza. They created a prototype and were excited to give every student in Kwizera Academy their own pair of shoes and a backpack. Can you imagine how proud these kids would be, walking about Bubanza in their blue shoes, carrying their backpacks? I love that these are not imported from somewhere else, but they are designed and created in Burundi. This initiative not only provides shoes and backpacks to the students, it also provides work for Ange’s team in Burundi. If 100 of us ask 6 of our friends to donate $15 each, we’ve got this covered. Who can be in your Circle of Six? 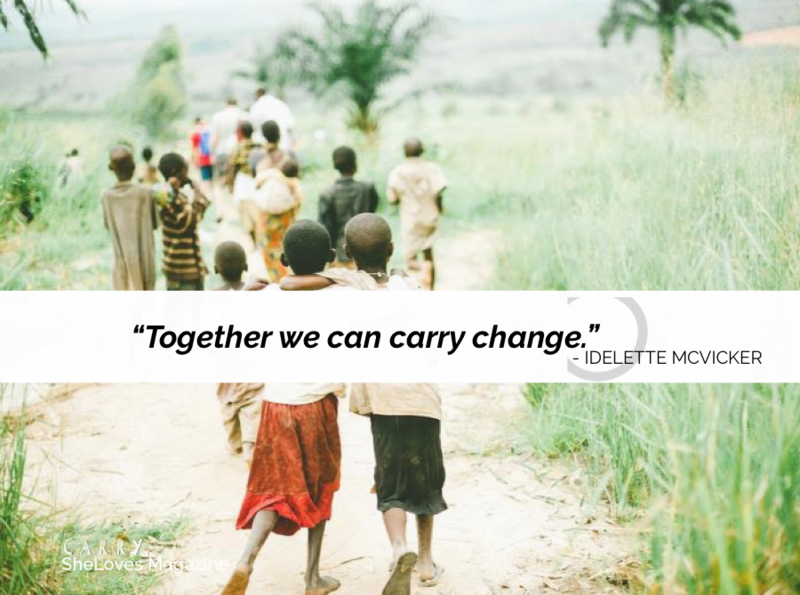 Together, standing together, reaching our arms and our hearts across the globe, we can carry change. This is not a western idea; this is a Burundian initiative. This is us, walking in friendship with Claude and Kelley and standing in solidarity with the community of Bubanza. I don’t have $9,000 to give, but I do have $15. I don’t have 600 friends to ask to give, but I can ask six friends. Would you join me? Would you join us? This is how we are doing Valentine’s Day this year. This is also how we are doing Galentine’s Day. This is how we choose to walk in Love. 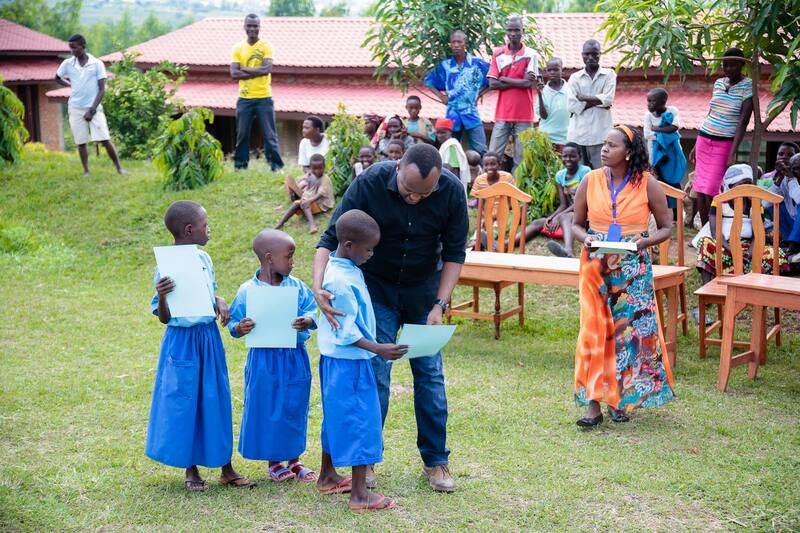 And as we choose Love, 600 students at Kwizera Academy will get to go to school with their own backpacks and shoes. You can give any amount. Of course! The amounts are in US currency, only to keep it simpler for our global community. While SheLoves Media Society is a registered non-profit in British Columbia, Canada, we are not a charitable organization yet, so unfortunately we cannot give tax receipts. All money fundraised for the project, minus the Paypal fees and banking transfer fees, will go straight to the shoes and backpacks for the students.